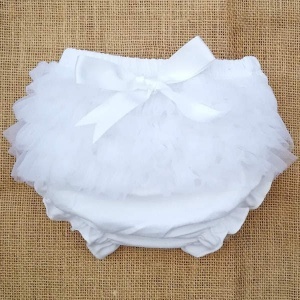 Baby girls white frilly organza & bow cotton knickers, perfect for all occasions including a christening or wedding. 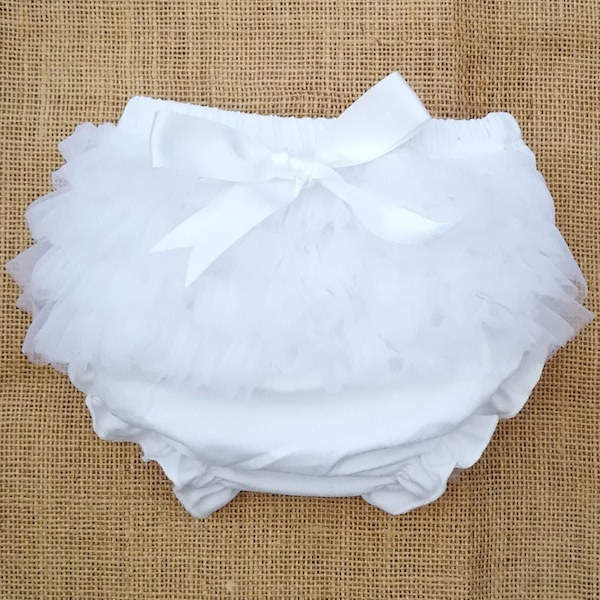 These beautiful cotton knickers have four rows of white frilly organza, with a large satin bow to the centre. Elasticated waist and legs to ensure the perfect fit.